"Sampath Speaking" - the thoughts of an Insurer from Thiruvallikkeni: Electioneering ~ fake IDs - false info. and more ! Electioneering ~ fake IDs - false info. and more ! Elections campaigns would soon reach a feverish pitch ~ how different are they now ? – what do parties do to woe people to vote for them ? How addicted are you to Facebook or any other social media ? – the question now is not whether you have a FB account – but how often you check that – and how many posts do you post on a single day ? – do not be surprised that some have multiple IDs (some masked / fake profiles)and have the habit of commenting on their own posts with a different ID – all by themselves. So, how authentic is the ID and how authentic is the comment ? Authenticity: (noun) : the quality of being authentic. Unauthentic : (adjective) not made or done in a way that reflects tradition or faithfully resembles an original. Inauthentic : (adjective) not in fact what it is said to be; not genuinely belonging to a style or period; lacking sincerity. "Today we removed 103 pages, groups and accounts for engaging in coordinated inauthentic behaviour on Facebook and Instagram as part of a network that originated in Pakistan," said a statement issued by Nathaniel Gleicher, the company’s head of Cybersecurity Policy, on the investigation. “Although the people behind this activity attempted to conceal their identities, our investigation found that it was linked to employees of the ISPR of the Pakistani military,” said the statement. "The takedown is because there is this network of fake accounts that they are using to conceal their identity and make these pages look independent, when in fact they are not," said Gleicher while talking to Dawn.com. Facebook announced recently that it is adding a feature called “Why am I seeing this post?” to News Feeds. Similar to “Why am I seeing this ad?,” which has appeared next to advertisements since 2014, the new tool has a dropdown menu that gives users information about why that post appeared in their News Feed, along with links to personalization controls. Meant to give users more transparency into how Facebook’s News Feed algorithm works, the update comes as the company copes with several major events that have highlighted the platform’s shortcomings, including potentially harmful ones. These include its role in enabling the dissemination of a video taken during the shooting attacks on New Zealand mosques two weeks ago, which were originally broadcast using Facebook Live; a lawsuit filed by the U.S. Department of Housing and Urban Development that accuses Facebook’s ad-targeting tool of violating the Fair Housing Act and its role in spreading misinformation and propaganda. According Facebook Head of Cybersecurity Policy Nathaniel Gleicher - “When we remove one of these networks, the reason we remove them is because of their coordinated inauthentic behaviour, that they are using network of fake accounts to conceal their identity….to mislead who’s behind them. That’s the basic reason for removal,” “We are constantly working to detect and stop coordinated inauthentic behaviour because we don’t want our services to be used to manipulate people. We’re taking down these pages and accounts based on their behaviour, not the content they posted,” he said. No immediate comments could be obtained from the Congress which should feel shamed and owes an explanation to the electorate in trying to mislead them through wrongful means and malafide intentions. With ensuing general elections, the Indian government had warned social media platforms of strong action if any attempt was made to influence the country’s electoral process through undesirable means. Talking about the steps taken post the removal, Gleicher said: “We have reached out to the INC to educate them about what we have seen and answer questions they have. “While the people behind this activity attempted to conceal their identities, our review found that it was connected to individuals associated with an INC IT Cell,” Gleicher said. 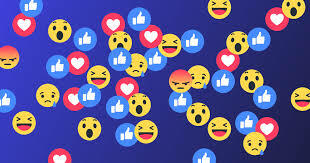 In a blog post, Facebook – which has over 200 million users in India – said the pages and accounts removed had spent around USD 39,000 for ads on Facebook, paid for in Indian rupees. The first ad ran in August 2014 and the most recent ad ran in March 2019. So the war is not fought on ground ! ~ in cyberspace too .. .. a couple of decades ago, it was more of the campaign – the cycle rallies, those roadshows, roadside meetings, candidate personally meeting the electorate all tilted the balance – now the fight is fought differently – while the cash that was to be distributed to electorate, seized from politician’s houses makes some news – these huge money spending too should be brought under the scanner. Dynasty has camoflauged their true colours for so many decades and now there are fresher attempts.